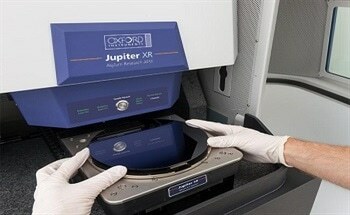 Oxford Instruments Asylum Research announces its new AFM Probe Store, which features a complete range of probes, a convenient interface to select and purchase probes, and interactive customer support: AFMprobes.AsylumResearch.com. The Probe Store is now open to all customers in North and South America, and Australia. The new, simple design makes it easy to obtain price quotations, search for probe models by various criteria (e.g. application, specifications, compatibility, imaging environment, sample types), and the flexibility to pay with a variety of options (credit card or purchase order). The new on-line chat feature allows direct access to experts that can instantly answer technical questions during normal business hours. Customers can also message the Asylum Research customer support staff outside of business hours and receive an answer with the fastest turn around time in the industry. Asylum’s AFM Probe Store is the first to offer customer reviews of probes so scientists can share valuable knowledge about their experiments. The Asylum AFM Probe Store offers hundreds of different probes compatible with all AFMs, not just those from Asylum Research. Probe models include Asylum’s own line of probes and those manufactured by Olympus®, NanoWorld, Nanosensors™, Rocky Mountain Technology, SmartTip and PrimeNano. Detailed descriptions, specifications, an image of the probe, and a cross-reference to competitive probe models make it easy for customers to choose the right probe for any experiment. Customers also have instant visibility to in-stock probes and can receive free samples on select models. As an incentive to visit the Probe Store, all customers placing online orders for Olympus and Asylum Research-manufactured probes receive a 10% discount now through Sept. 30, 2016. 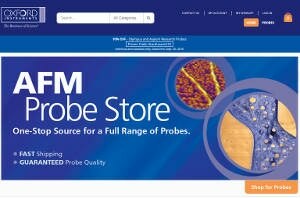 If you want to buy probes, the Asylum AFM Probe Store is the best place to purchase them. Although we have offered on-line purchasing since 2010, the new Probe Store provides a better customer buying experience with a more friendly and intuitive interface for probe selection, quotation, direct ordering, and of course, our world-renowned customer support services. We have a lot of exciting things coming soon so we encourage AFM users to bookmark the store for new offers, new probes and a whole lot more. Customers in China may purchase probes on line at http://www.51haocai.cn/gallery-35.html. Expanded service for AFM users in Europe and Japan will be coming later in 2016. Until then, please contact your local Asylum Research sales office or contact us at [email protected] for assistance.